When I’m working on a book, I make a collage. Definitely a digital one and, usually, a paper one, too. 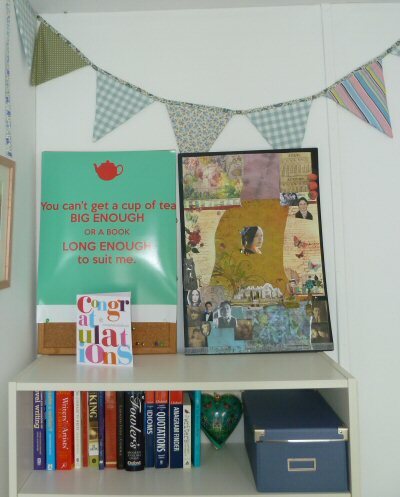 You can see the collage for The Secrets of Ghosts on my bookcase in this picture. This was taken during the first draft, so the collage is nowhere near complete. It’s a lot busier now! Choosing pictures and objects that ‘feel like my book’ and positioning them on the collage gives me ideas for plot twists and insights into character. Also, the pictures that I choose to ‘cast’ the characters help them to become real in my mind (especially during the early stages, when everything feels very sketchy). 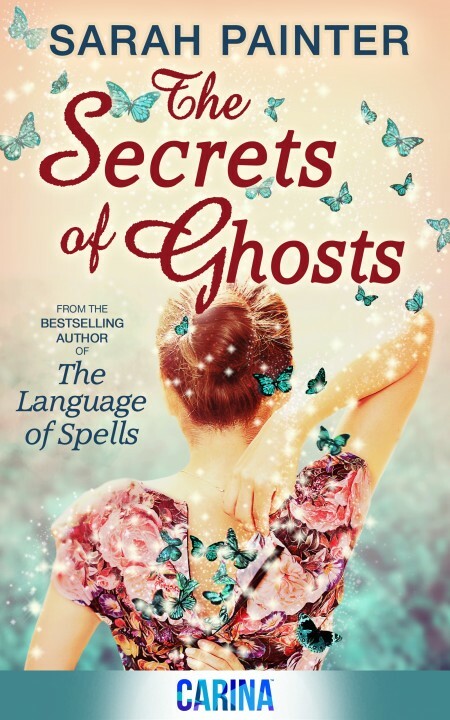 Since The Secrets of Ghosts is out on Wednesday (eek – two days! ), I thought I’d share with you the casting for two major characters. The first, Katie Harper, is represented by an actress I’m very fond of – Ellen Page. Whether fourteen (as in The Language of Spells) or twenty-one, as she is in the new book, Ellen Page portrays the perfect mix of strength and fragility. Plus, she delivers sarcasm beautifully. Max is a new character. A reformed con man who turns up at the country house hotel in which Katie works. 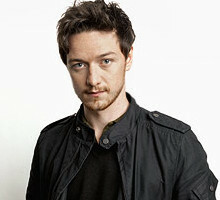 I cast James McAvoy as Max early on and found him, ah-hem, inspiring. Staring at pictures like this for hours at a time is tough work, but someone has to do it.